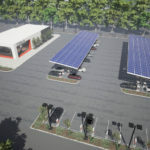 At the beginning of 2015, BMW, VW and ChargePoint declared a plan to establish fast charging corridors along the East and West Coasts of the USA. Initially I thought this would be bad, because they’d install just ComboChargingSystem stations leaving CHAdeMO station owners in the lurch, and worsening the Big Problem with three competing standards for DC Fast Charging. 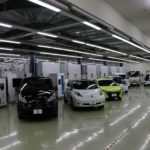 But within a couple days I was able to determine from ChargePoint’s Press people that instead of the feared CCS-only fast charging corridors, that along the major highway routes they’d install dual-protocol CCS+CHAdeMO stations, what we’ve since learned are 50 kW stations sourced from Veefil. A couple days ago BMW, VW and ChargePoint announced success. 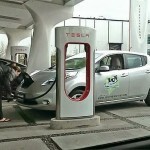 But a quick look at the charging station maps shows that their claim of success does not live up to what was promised. 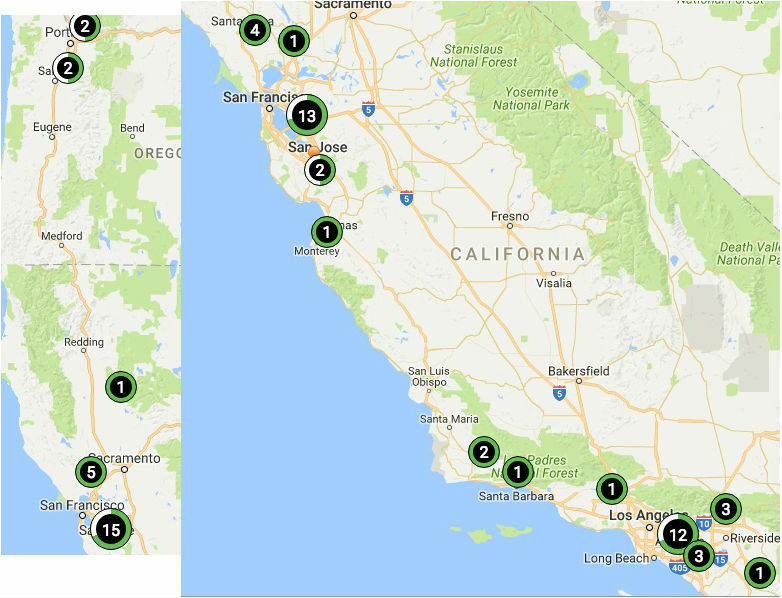 The above image shows CHAdeMO stations along most of the West Coast, from the ChargePoint online map, selecting ONLY those operated by ChargePoint. Notice the long gaps between Sacramento and the middle of Oregon, and then south between the SF Bay Area and Los Angeles? The 50 kW stations she described as supporting CHAdeMO, and the 25 kW stations would be CCS-only. We now know the latter are the small 25 kW CCS-only stations designed by BMW, and the former are the dual-protocol stations designed by Veefil. The plan as of January 2015 was to install 50 kW dual-protocol stations along major highway corridors, and leave the 24 kW stations for secondary locations. What’s happened instead is the 24 kW CCS-only stations are installed along the major highway corridor (I-5, US 101) along the West Coast, and the 50 kW dual-protocol stations are few and far between. As you can see from the above image, the dual-protocol stations did not get installed at the promised level. I did not check the East Coast because there are so many charging stations that it’s difficult to determine which were installed because of this project. A quick check of the ChargePoint map between Boston and Washington DC shows a sufficient number of both CHAdeMO and CCS. Nearly 100 DC (direct current) Fast charging stations provide more flexibility for EV drivers, supporting long distance and metropolitan electric vehicle travel along some of the nation’s most heavily-trafficked corridors. EV drivers can more easily travel from Portland, Ore., to San Diego on the West Coast, and from Boston to Washington, D.C., on the East Coast, utilizing a network of newly installed fast charging stations. Owners of the BMW i3, Volkswagen e-Golf and other electric cars can locate the publicly-available charging stations on the ChargePoint network. Herndon, VA; Woodcliff Lake, NJ; Campbell, CA, September 13, 2016…Electric vehicle (EV) drivers can now travel the most heavily-trafficked corridors on the East and West Coasts of the United States with the installation of 95 new DC Fast charging stations as part of the Express Charging Corridors Initiative – a collaboration of two of the world’s top automakers, BMW of North America and Volkswagen of America, Inc. and ChargePoint, the world’s largest EV charging network. The recently completed express charging corridors are designed to meet the increasing demand for convenient, publicly-available EV fast chargers and act as a catalyst for the growing adoption of electric vehicles in the United States. 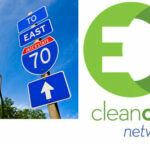 Drivers can access the DC Fast chargers along the most heavily populated and highly-trafficked regions primarily along Interstate 95 on the East Coast, enabling EV travel from Boston, through the New York City and Philadelphia areas to Washington, D.C., and along Interstate 5 and Highway 101 on the West Coast, connecting metropolitan areas from Portland, Ore., through the San Francisco Bay Area and Los Angeles to San Diego. Branches from the main Corridors extend to popular destinations such as Cape Cod, the Hamptons, the Jersey Shore, Lake Tahoe, Napa, and Sonoma. The chargers are strategically positioned both within and between relevant metropolitan areas, spaced approximately 50 miles apart, in convenient locations with access to restaurants, shopping centers, rest stops, and more. 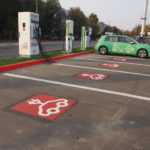 These DC Fast charging stations, connecting cities along the corridors, have been installed within a few miles of major highways, prioritizing both safety and convenience. The corridors are designed to make longer distance EV travel easier, with faster charging time than standard Level 2 public charging. Drivers can locate stations through the ChargePoint mobile app or website ; in BMW i3 vehicles via BMW ConnectedDrive, either in-vehicle or via the app; or in Volkswagen e-Golf vehicles by accessing the Volkswagen CarNet® app via smartphone or smartwatch or in-vehicle. 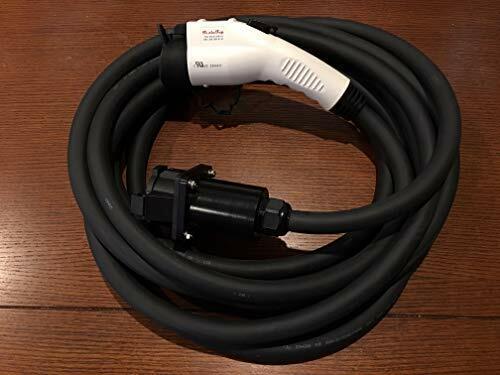 Each charging location along the Express Charging Corridors offers either 50kW or 24kW DC Fast charging with the SAE Combo connectors used in the BMW i3 and Volkswagen e-Golf electric vehicles (and in many other EVs with DC Fast charging capability). 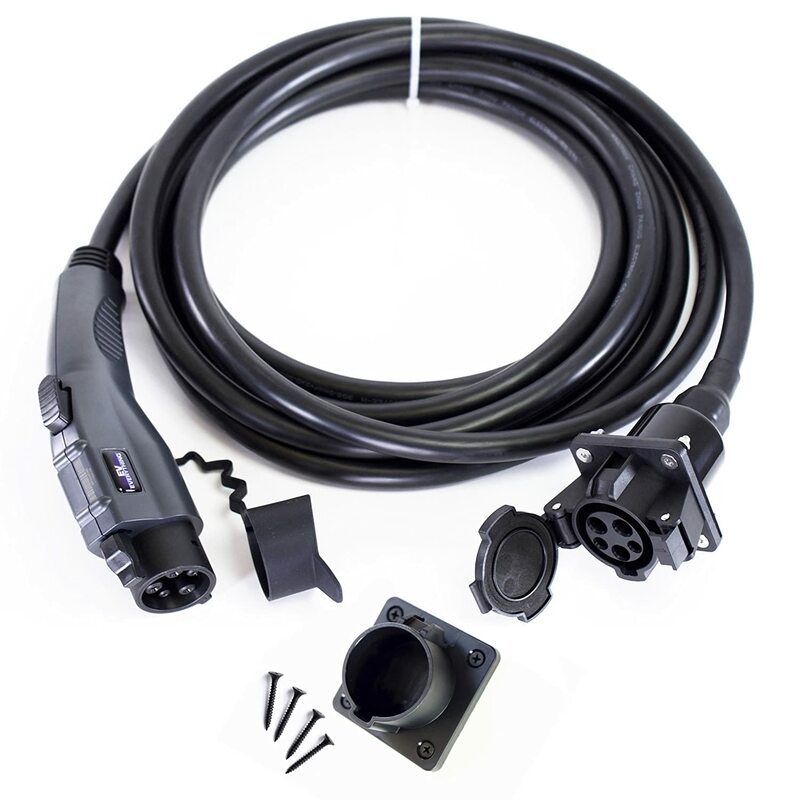 Many locations also offer CHAdeMO connectors, for vehicles equipped with these ports. All stations are publicly available and can be easily accessed with the ChargePoint mobile app or a ChargePoint card, or for BMW drivers, a ChargeNow card. With the completion of the Express Charging Corridors, BMW, Volkswagen and ChargePoint are providing drivers with the ability and confidence to enjoy longer distance driving and recharge their electric vehicles quickly, ultimately leading to greater electric vehicle adoption. 1. How does the “20 minutes to 80%” claim stand up re CCS? Poorly, I imagine. And besides, I want to get a Bolt, I really don’t think that could be close to true. 2. What is the cost of using it? 3. If CCS is limited to 25KW now, will it get appreciably more powerful in the future? CCS can easily run at the same power level as CHAdeMO. That the BMW units run at 25 kW is the nature of that product. 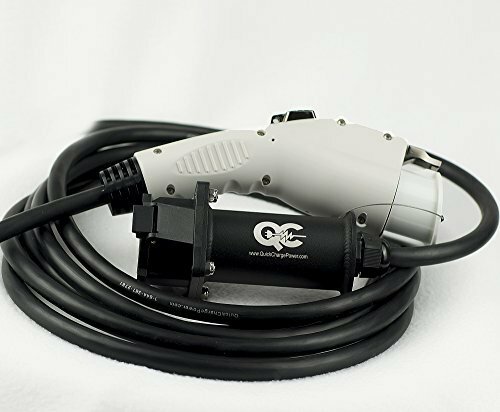 Other CCS units run at up to 50 kW, for example the dual-protocol unit that ChargePoint sells. And you might recall that the industry group pushing CCS is working on a version that would handle 150 kW. At 25 kW a 24 kWh car would take closer to 40-45 minutes to reach 80%. And as 60 kWh cars (like the Bolt) are just around the corner, 25 kW turns into a slow charger — fully recharging 60 kW on 25 kW would take 2.5 hours. Exactly. So, really, what’s 25KW do for you on a highway drive? Park for one hour, drive for one hour and fifteen minutes? Nuts to that. I can only hope they properly investigated and invested in sites and equipment that can readily be turned to 150KW — because that makes EV highway driving worthwhile (charge for 15 minutes, drive for two hours). Please remember that 25 kW is a better charging rate than 6 kW or 0 kW. That gap between Sacramento and Oregon got closed for CCS drivers by **SOMETHING**. Along that stretch are lots of campgrounds with RV parking supporting NEMA 14-50 outlets. The people who drove EV’s in that region brought along their own EVSE to use with those outlets. Several people have driven Leaf’s through there doing so. But via the 14-50 outlet you’re limited to the 6 kW rate of the on-board AC charger. The 25 kW units, as slow as they are, are 4x as fast. That would equate to about 100 miles range gained per hour of charging, versus 20-25 miles range gained at 6 kW. 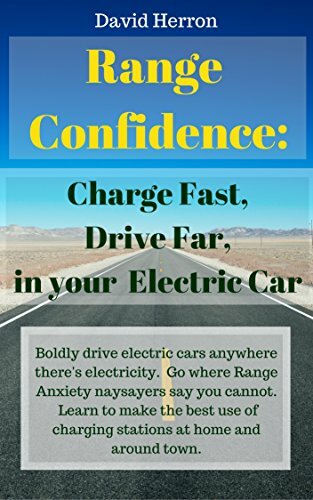 The big goal is as you say to bump the charging power way up, because … 15 minutes to supply 150 miles range is 600 miles range gained per hour of charging. David, as you know, we are no longer in the era of hardy pioneers who’d put up with that nonsense. We are looking to put millions, then tens of millions, of people in EVs. The experience needs to be more convenient than gasoline — and it can be.